While making ribs this week I needed something to cool the heat and complement the apple flavour. I came across a recipe similar to the end result on epicurious.com. As always I read the recipe, thought, that’s good but…I need more of this and I need more of that, this would taste better. You get my point. 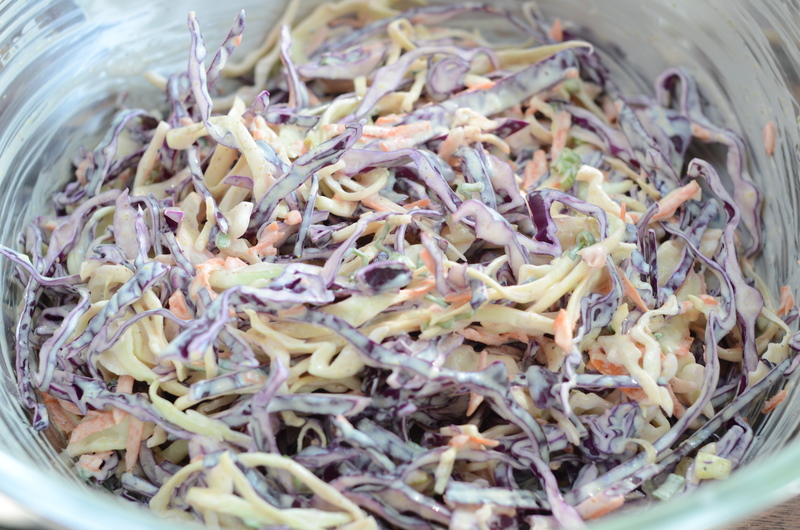 So here is my version of Apple Coleslaw. 5) Leave at room temp for at least an hour for the acid to breakdown the cabbage then put in fridge for another 2 hours. If you don’t want to leave it out at room temp, just increase the time in the fridge to four hours. The flavour is a bit sour from the yoghurt and sweet from the apples and cabbage. I loved it, thought it was a perfect pairing with the ribs. Let me know if you agree!